This is bad. Bad for movie stars everywhere. 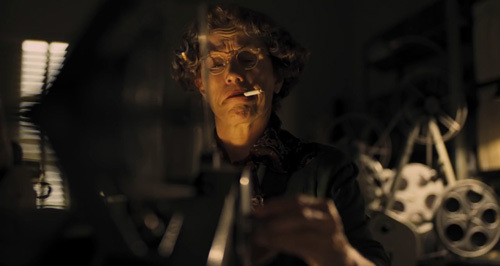 The Coen Brothers’ broader comedies tend to get a mixed response from critics, who prefer their blacker, more caustic affairs (A Serious Man, Barton Fink, Inside Llewyn Davis). Probably only Raising Arizona and O Brother, Where Art Thou? 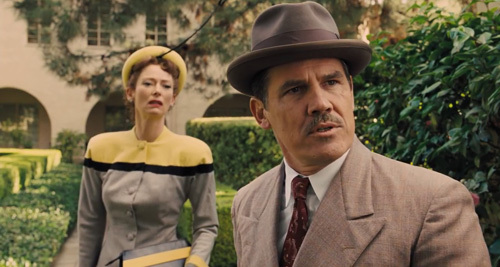 have been unreservedly clutched to bosoms, so it remains to be seen how Hail, Caesar! fares. The trailer shows it off as big, bold, goofy, shamelessly cheerful and – something that always goes down well with awards ceremonies – down with taking affectionate swipes at Tinseltown. 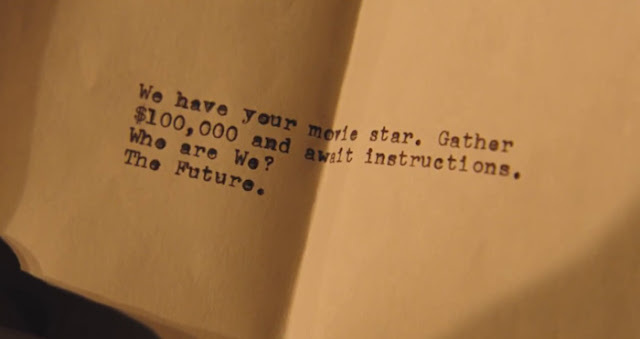 Seeing as how the unabashedly cartoonish The Grand Budapest Hotel swung a host of Oscar nominations (and a couple of wins), I wouldn’t put anything out of the question. Also, as O Brother proved, punctuation marks in titles are a guarantee of acclaim. I’m an easy sell for Coens fare, though. Burn After Reading is very funny, particularly John Malkovich’s endlessly expressive swearing. Intolerable Cruelty makes me laugh a lot, particularly Clooney’s double takes and checking his teeth. I can even find good things to say about The Ladykillers (despite the fact that they, of all people, should have known the futility of remaking it). That the brothers get a kick of making deceptively lowbrow fare, sharply written slapstick where their protagonists are invariably morons (or think they’re much smarter than they are), is something to be celebrated, rather than pining for them to chart a more respectable course. Of course, The Big Lebowski had an appreciative but hardly rapturous reception when it was first released, and now it’s certainly the most popular – although sometimes the lines between a big cult movie and one more widely popular are difficult to distinguish – of their pictures. Outside of that, the plaudits generally come down to Blood Simple (in some respects their “straightest” picture), Fargo (although it’s one I have no great passion for) and No Country for Old Men (no arguments there, it’s an absolute classic). With 17 features under their belts, there’s now more than enough room to claim neglected gems (feted as it was A Serious Man seems destined to be most under seen, along with The Man Who Wasn’t There, one I find less satisfying). Perhaps the key for their comedies to muster a following is the creation a lasting milieu; Raising Arizona did it with it’s live action Road Runner aesthetic, Lebowski with its’ spaced out Raymond Chandler vibe, O Brother played on Preston Sturges pictures by way of Homer with a nostalgic sepia tint. In contrast, Cruelty, Ladykillers and Burn never set out such an indelible backdrop and world. The Hudsucker Proxy, much as I like it, only half succeeds, absolutely catching fire whenever Jennifer Jason Leigh’s fast-talking screwball journalist is in the frame (and Bruce Campbell in his best Coens role), but rather stagnating with Tim Robbins’ open-browed shmuck. 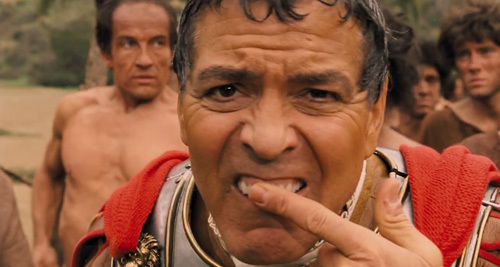 So Hail, Caesar! seems to be ahead when it comes to setting, broadcasting an instantly identifiable parody of ‘50s Hollywood, from unwisely cast sword and sandals epics to lavish musicals and ho-hum cowboy pictures. 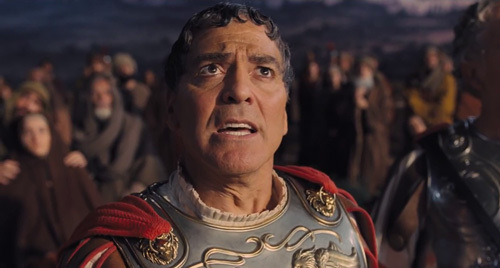 It also seems to have been bubbling under forever (since 2004 at least, when it concerned actors in a play about ancient Rome), announced as one where Clooney’s incomparable skills at playing an idiot would be call upon once again, the third in his starring “Numbskull Trilogy” (although presumably Burn makes Hail his fourth). 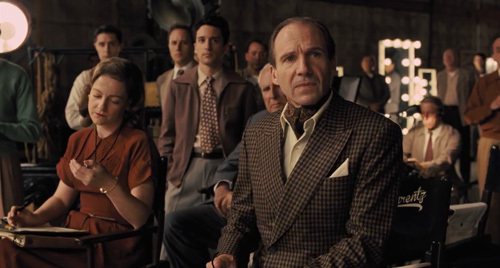 The central character now appears to be Josh Brolin’s fixer Eddie Mannix (less Ray Donovan and more only slightly less a numbskull than Clooney’s Baird Whitlock, by the look of it). The Coens have reaped rewards from going to the movies before, most notably in Barton Fink, but this time they’re really going to town on casting absolutely whoever they feel like, and for that it recalls Burn After Reading. We have returning faces (Clooney, Brolin, Tilda Swinton, ScarJo, and Frances McDormand). This is Brolin’s first comedy with the pair, and he looks like he’s really enjoying himself. Certainly, the trailer’s an expertly edited piece, possibly the best this year, a medley of great dialogue, sounds, gestures and inflections of the sort you know were all on the page waiting for the actors to bring to life. All set to the infectious accompaniment of Jamie N Commons’ Rumble and Sway. You get the impression everyone just loves working for the brothers, digging into indelible dialogue and characters. I’ll be upfront and say I’m not ScarJo’s biggest fan, but she looks like she’s on good form here, playing up the silver screen siren and attempting to fluster a marvellously cast Jonah Hill (“You must have very strong forearms. Is it hard, squeezing it like that?”; “It’s part of the job, miss”). 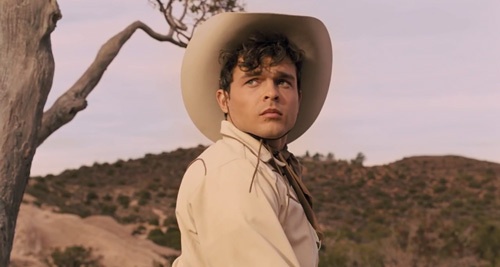 Of the other newcomers, Fiennes doesn’t have as instantly iconic a role as he did for Grand Budapest, but his delivery is all there, Alden Ehrenreich gets a great line (“This is bad. Bad for movie stars everywhere”) and Channing Tatum does what he does best (playing a loveable moron, by the look of it). 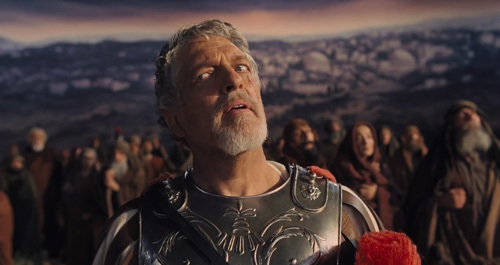 I’m actually most intrigued to see some of the less prolific thesps making hay with Coens lines; Clancy Brown’s reaction to Clooney drying is just dynamite. 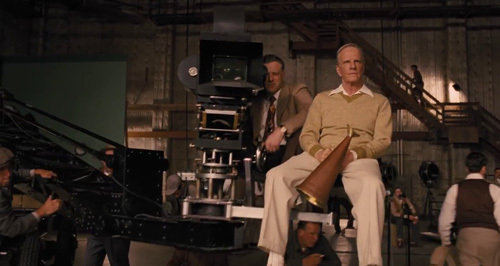 I have no idea what Christopher Lambert will be like (he’s sitting on the crane chair), but I’m dying to see. Likewise Dolph Lundgren’s Submarine Commander. Its as if they’ve purposefully rounded up a bunch ‘80s B-legends (and are big fans of Highlander). So where will this stand in their numbskull quadrilogy? On the face of it, and if trailers reflected quality, I’d say it’s vying with O Brother. It looks like it will be one of the most pure “fun” movies of 2016. Forget about Batman vs Superman and Bridget Jones Baby. And Ben-Hur (at least two of those, I already have). This is the must-see of the year (and not long to wait; it’s out in February). Information is all. Is it not? It's all a lot of simple tricks and nonsense. Everyone's gotta do the Shimmy Shimmy Ya. I am a scumbag gambler. This just about takes the giddy biscuit! I wish the world were a newt! I do not recall, sir, but it was opprobrious.